I wore this to run errands one night. It's been getting chilly at night. I already have these pants in pink, I liked how they fit so I got them in green too. What a cute sweater!! I can't wait for the temps to drop so I can start wearing mine! 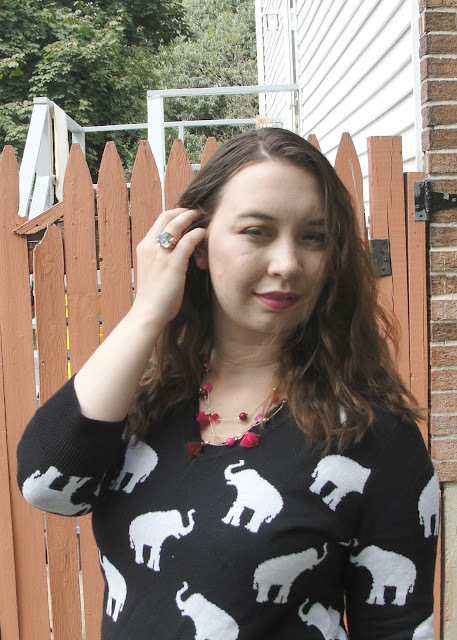 such a fun sweater! such a cute look! I need this sweater in my life! 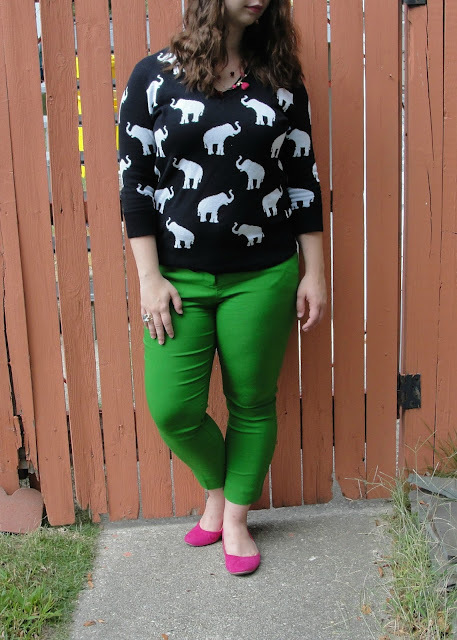 So cute and I love it paired with these trousers! That sweater is super cute! 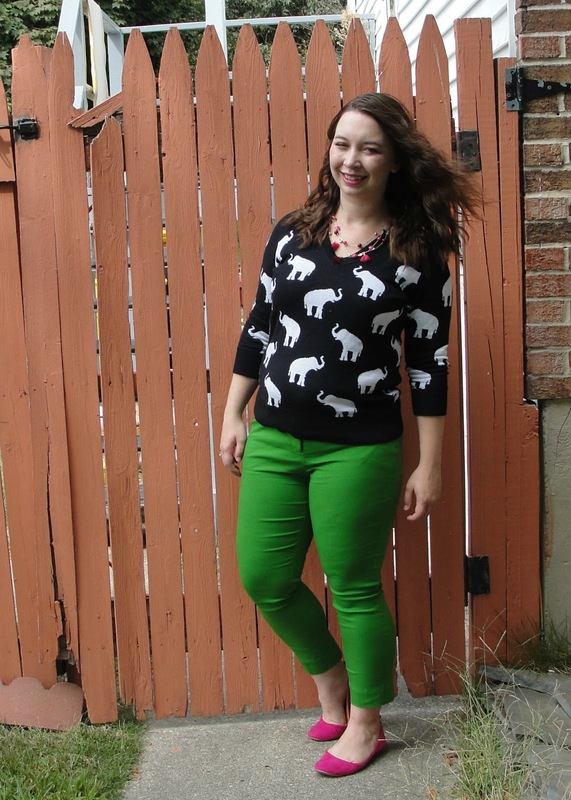 Love it paired with the bright colors! I love your color combination in this outfit, you look so chic and cute! I love those green pants!! I have some that are very similar.